The 2012 London Olympics is just around the corner. Teams and athletes are now preparing with the goal of getting the coveted Olympic gold medal. Jordan Brand is set to go with the flow with the release of an Olympic-themed Air Jordan 6. 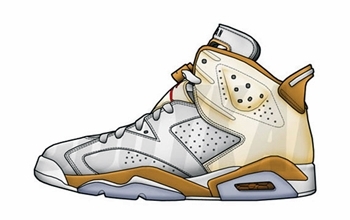 The highly-anticipated Air Jordan 6 “Gold Medal” will be hitting the market on August 18, almost a week after the closing ceremony of this year’s quadrennial sporting event. Details about this one will be known soon. We will keep you updated!